First off, a huge toast to you on your engagement! 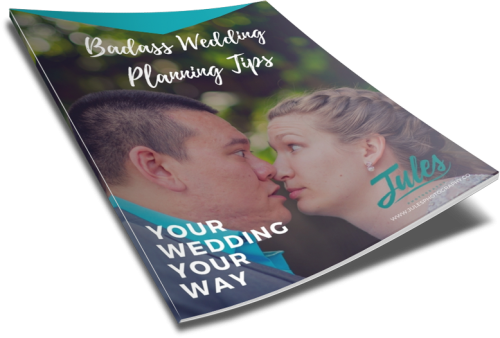 Whether you have been with your partner for a while and finally decided together to take the plunge, or you’re wearing that fresh bling, you’re here because you’re looking to plan a wedding…and a badass one, at that! Secondly. while I may be a wedding expert, I’m not an expert on your wedding. That title only belongs to you (and your partner, of course)! I’m just offering a few suggestions to help get your creative juices flowing. Some of these tips will save you money. Some will make your day less stressful. Others will just help you think outside the box! As with most things in life, even though planning a wedding seems like a huge deal, it’s certainly not the end-all, be-all. Remember that when making decisions, and relax. From this point on, you have permission to do what you want! 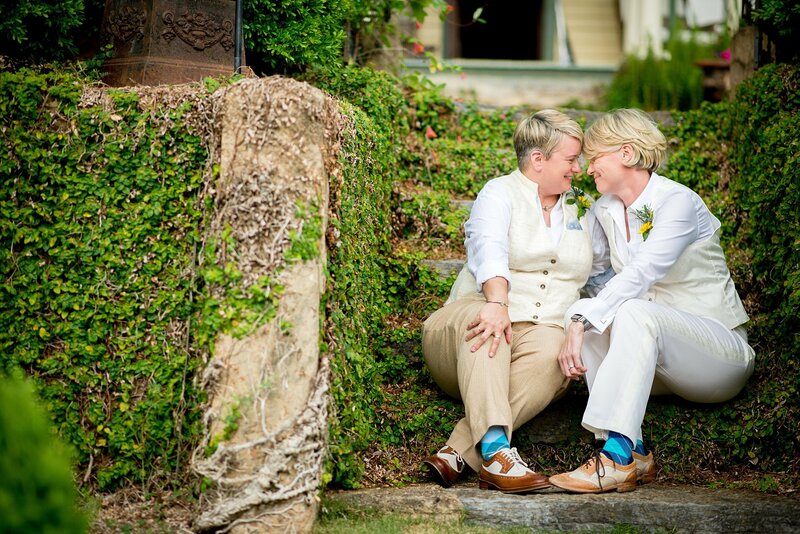 Your wedding should tell your story and reflect your love for each other, not what anyone else wants or says. One last thing: most of the people who hire a photographer like me are looking to stand out, to wander off the beaten trail, to separate themselves from the stereotypical wedding approach. My clients are independent thinkers, pioneers, and innovators. Below, I’m sharing 5 fun tips to help you plan a truly unique, memorable wedding celebration. 1. Flowers: Flowers can be gorgeous, but they’re not a requirement. Your wedding should feature objects that say something about you. If that’s flowers, great! But if daisies and baby’s breath don’t speak to you, then it’s perfectly fine to carry something else—or nothing at all. Spend some time thinking about the items that are personally significant or symbolic to you and your partner. Maybe it’s an umbrella for that time you got stuck in the rain together, or a basket to remember that amazing picnic date. Go with what feels right for you!! 2. Outfits: Etsy is your friend, as are small boutiques and even secondhand thrift shops. Plenty of online sellers will customize a garment to fit your measurements perfectly. Don’t feel like you need to hit all the wedding superstores, and don’t buy everything at once. It can be tempting to get all your shopping done at one stop, but if you shop around for a while you’re sure to find that perfect outfit—and maybe even a few bargains, too. For Brides: Sure, everyone else opted for the dress-and-veil package at David’s Bridal—that doesn’t mean you need to! There are plenty of quality dress shops that don’t call themselves “wedding” stores, so cast a wide net! Wear a vintage white dress you found on eBay. Wear a bright purple dress from a thrift store. Or don’t wear a dress at all! In my opinion, nothing says “elegant” like a sleek, stylish pantsuit. For Grooms: Same deal—why restrict yourself to Men’s Warehouse or Savvy Formalware when there are so many other fresh, funky alternatives? Pinstripes and charcoal might be standard, but maybe you’re partial to green polka dots. Go with it! Tux too stuffy for your taste? Consider pairing your favorite pants with a new sportcoat, or thrifting to find the ivory suit of your dreams. Add layers: an eye-catching vest, some patterned suspenders, or even a top hat. Remember: your outfit should suit (no pun intended) your personality. 3. Ceremony: Look, “everyone” you know might be exchanging rings and writing elaborate vows. And those traditions are great, if you genuinely want them in your ceremony. But if not, don’t feel the pressure to copy what everyone else does. Let your ceremony take its own shape. It can wrap up in ten minutes or go on for an hour. There are no rules about who can walk you down the aisle, so ask someone who’s genuinely important to you—or walk yourself! Not a fan of rings? Maybe you could pour some unity sand, light candles, or even mix a drink together. 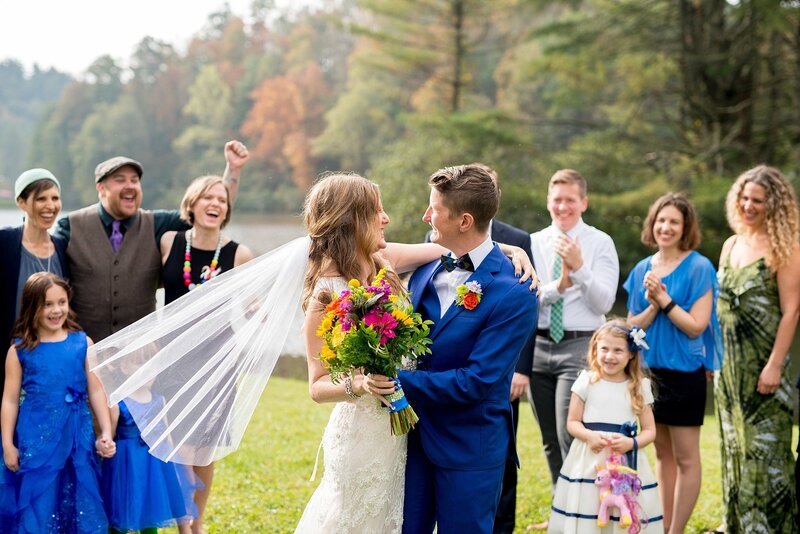 While the ceremony is the time where you’ll be the most “serious,” don’t be afraid to have some fun or mix in a new personal tradition. 4. Wedding Party: (formally known as the bridal party) It’s the twenty-first century, people, and that means it’s time to do away with the idea of “ladies to the left, gentlemen to the right”. There’s no such thing as a “guys’ side” and “girls’ side”. Include whoever you want to include, no matter their gender. Or have no wedding party at all! Don’t feel obligated to have the same number on both sides. You can give close friends other meaningful roles if need be. If you opt to skip the wedding party, understand that close friends may still want to be included in the ceremony. No worries, though! You can ask family and friends to read poems, play music, or perform another special role in the ceremony. If you get creative, no one needs to be left out. 5. 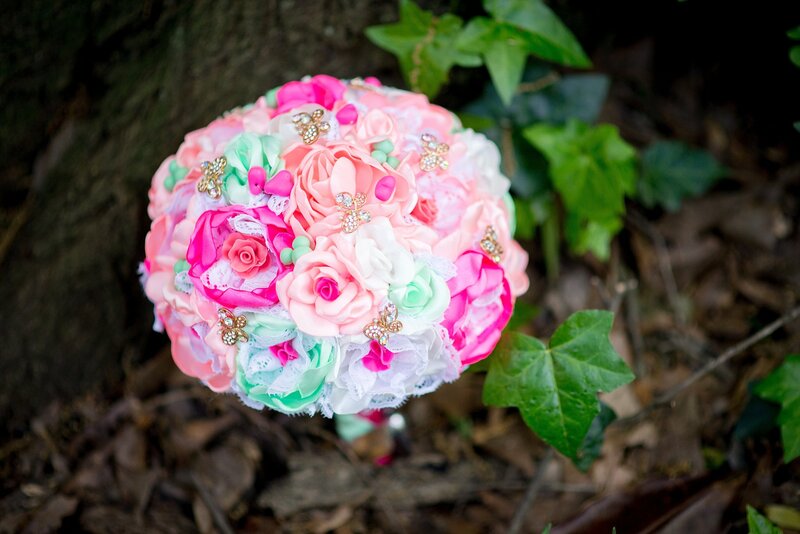 Cake: Sugary and symbolic, a wedding cake is a perfect opportunity to express yourself! Cake toppers and colors go a long way toward customizing this mouth-watering wedding staple. Keep your guest count in mind when ordering your cake. You might not need a huge cake to feed everyone, and nobody wants to be eating the same leftover cake for months. It’s getting more and more popular to serve a smaller cake along with a variety of cupcakes. Way less work, a lot cuter! Also, remember that we live in an age of dietary allergies and sensitivities. It’s basic courtesy to include gluten-free, dairy-free, and allergy-free options to accommodate all your guests. Does the thought of smashing the cake into your partner’s face make you feel queasy? Then toss that tradition in the trash! Some people might miss it, but that’s not worth making you or your partner uncomfortable on your big day.